Automated window treatments are a modern lifting option that offer endless benefits to homeowners. Because windows are often placed in hard to reach places, automated solutions allow homeowners to open and close their coverings with ease, for easy sun and heat control. Automated windows also provide an extremely safe lifting option for windows, for customers with child safety concerns. Our staff participates in continual, extensive training to ensure our team has the best education on the latest, state-of-the-art technology. We offer several brands of automated window coverings, including both Lutron and Somfy. We also offer pre-construction consultations for clients that desire a whole home integration system for their windows. For established homes, we offer automated systems with radio frequency operating structures, for easy control. If you have questions and or interest in this modern technology, please give us a call or schedule a free window coverings consultation today! 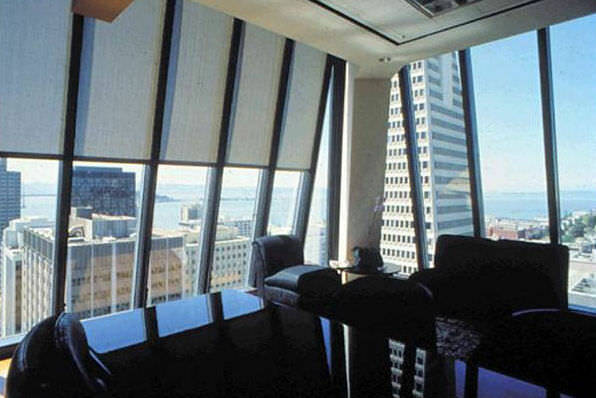 As the industry leading expert in roller shades and other motorized window coverings, Mechoshade has been delivering superior products for commercial and residential for more than 50 year. Put in their own words, “an entire industry has grown out of imitations.” We are honored to be able to work with such an innovative, forward-thinking motorized roller shade brand. Even though they are built on their expert functionalities, their products never sacrifice style. Available in a variety of different sizes an colors, they give you more than enough quality products to choose from. Lutron designed their motorized window treatment control system with the future in mind. They started with the idea of motorized shades and advanced it to the current tech-savvy era by installing a highly sophisticated motor with a built-in computer. Welcome to the contemporary style of living with Lutron shades. Not only are they technologically advanced, their versatile, eco-friendly, and energy efficient. You can even sync the Lutron systems to your home automation system to make life that much easier. Available for draperies, roller shades, custom curtains, and even cellular shades. 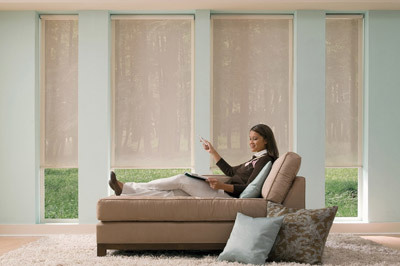 Interested in getting motorized window treatments? Want to integrate your shades into your home automation system? Schedule a free design consultation with us and let’s upgrade your window coverings! What is the difference between wired control and radio control? A wired system will control your motor by wires directly attached through your walls. A radio controlled system will control your motor through radio waves, so there is no direct wiring. What is the benefit to using battery power? Battery powered tubes are easily installed and do not require hard wiring or a location close to an electrical outlet. What are the different ways to power a motorized window treatment? There are three ways to power your motor: a dc power adapter, battery power and solar power. What is the benefit to using solar power? Solar power is easy to install and cost effective. What remote control options are available with motorization?